SEVERAL Test hopefuls, headlined by Phil Hughes, might be ruing missed opportunities after Australia A’s batsmen struggled on day one of the series with South Africa A in Townsville. Only a late rearguard motion led by wicketkeeper Peter Nevill (53), who was the one batsman to notch a half-century, prevented the hosts from being absolutely embarrassed. 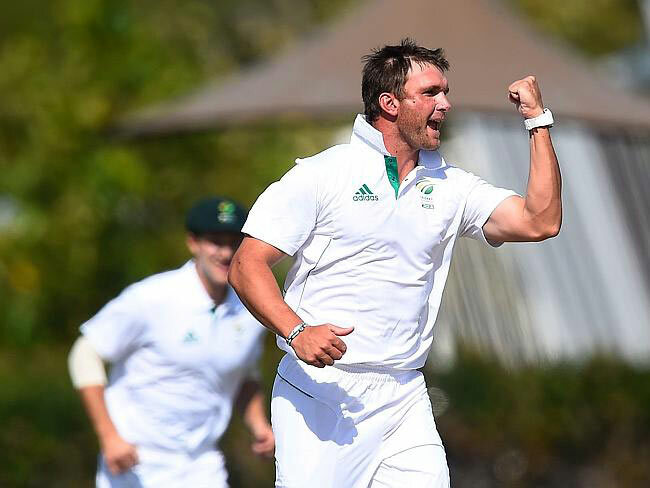 They had been bowled out for 239 in the 80th over before a late wicket for Queensland all-rounder Michael Neser noticed the South Africans go to stumps at 1-26. Hughes struck 4 boundaries just before being dismissed for 23, caught at slip after going for an enormous drive off the bowling of South African paceman Hardus Viljoen. 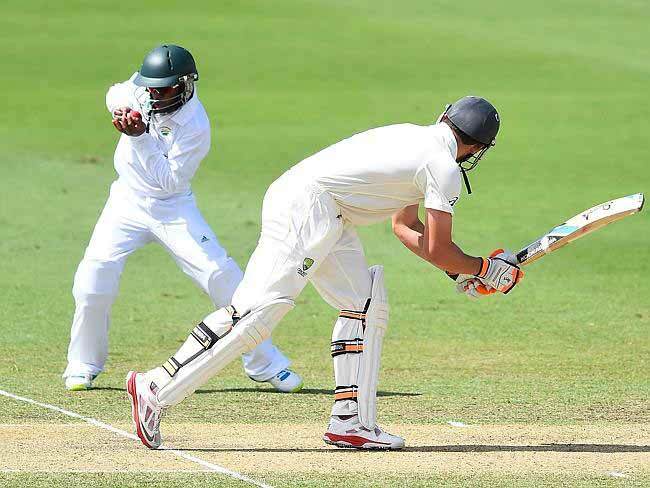 Australia A skipper Moises Henriques caught at short leg by Temba Bavuma after facing nine balls. Hughes was attracted much attention after being missed out of Australia’s one-day squad to tour Zimbabwe regardless of making a record-breaking double hundred against South Africa A in a one-day match the previous week. Besides that setback, the 25-year-old would have been hoping to proceed his Test prospects on this match after failing to play a match in the Australia’s tour of South Africa earlier this year. The left-hander wasn’t alone in failing to lead a decent start to a respectable score. International hopefuls Callum Ferguson, Tom Cooper and Matthew Wade all handed in 30 before being brought undone by the persistant South African fast-bowlers. Peter Nevill was the only batsman to add a respectable 50 plus to the scoresheet. 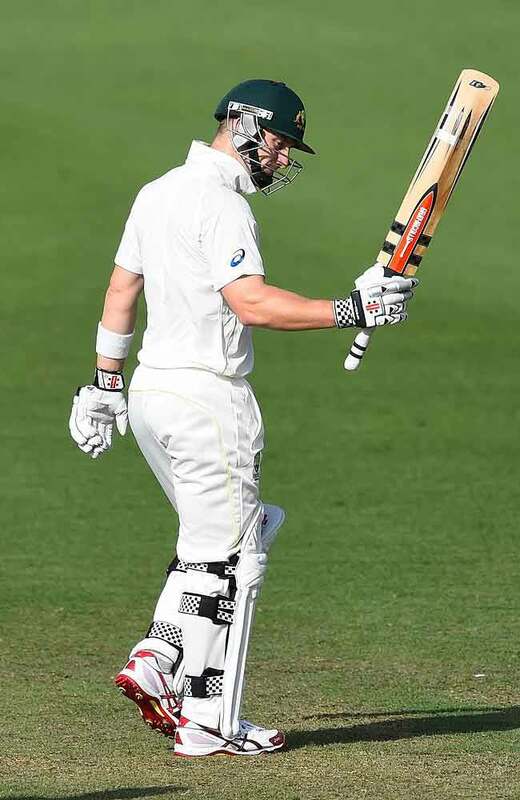 Wade, participating as a specialist batsman whereas Nevill takes the gloves, appeared to be in high quality form however was brought undone on 37 by Viljoen, while Australia A captain Moises Henriques lasted simply 9 balls before he was caught at short leg off the bowling of spinner Simon Harmer. Earlier, Cooper had shaped a formidable partnership with fellow Redback Ferguson but it surely was stalled by an abrupt end when the latter was dismissed for forty seven from the last delivery before afternoon lunch. Western Australia opener Marcus Stoinis was the first wicket to fall, caught behind for three off the bowling of Kagiso Rabada in just the fourth over. Paceman Marchant de Lange was the choice of the bowlers for the tourists, ending with figures of 4-53 after he cleaned up the tail with some tempo. Neser will likely be happy along with his all-round show after going to stumps with bowling figures of 1-12 from 5 overs to go along with his 31 runs with the bat. With his years of experience in copy-writing and rich knowledge in Australian sports, Josh Brown truly believes in the power of news, media and the written word. He's written numerous game reviews and is also the chief administrator of the website.